It’s summertime and you’re in the mood to go someplace warm and exotic for vacation. The most reasonable location for your budget is Florida. With Florida, you have the choice between two prime destinations-Miami or Fort Lauderdale. From here on out the decisions are going to get tougher. 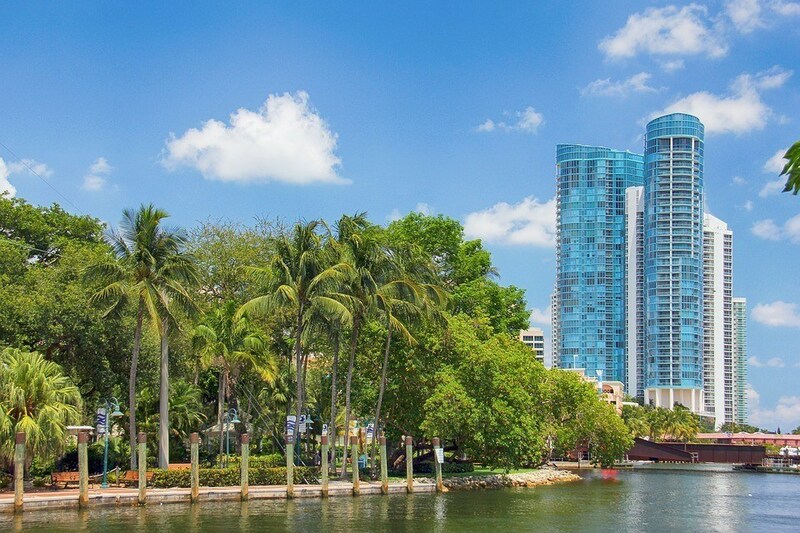 Miami is considered by many to be the cultural epicenter of Florida, while Fort Lauderdale showcases the natural beauty of the state with its lush, tropical landscape. The cost of air fare to reach both cities is only a three dollars difference. But, only one promises a richer experience for tourists. That’s why we’re going to find out which is right city for you. No matter where you end up, this is one tale of two cities that only promises the best of times. As stated earlier, Florida’s artistic pulse lies in the heart of Miami. The Miami Design Preservation League hosts walking and interior tours of the city’s classic Art Deco buildings every day at 10:30am (A second 6:30pm tour on Thursdays). Among these Art Deco palaces is the Colony Theatre, a renovated 1930s movie house that hosts live dramatic productions in English and Spanish. Admission fees for both run between $20 to $35. Just like Miami, Fort Lauderdale hosts The Mockingbird Trail, an urban art walking tour that showcases urban art installations blended with the natural landscape. The Trail hosts events that showcase neighborhood mural work while promoting outdoor recreation. When you’ve gotten enough exercise, take in Riverwalk’s Jazz Brunch, held the first Sunday of every month from 11am to 2pm. Both attractions are non-profits, but accept donations and volunteers. Miami brings the heat when it comes to dining and nightclubs. The Baoli Miami is an upscale affair offering top notch Mediterranean and Asian cuisine complemented by low light ambiance. For something more casual, there’s the Broken Shaker, a “hole-in-the-wall” located in the back of the Freehand Miami Hotel. Take in a dinner and a show at Fort Lauderdale’s Wreck Bar, hosted by B Ocean Resorts. Dine on entrees from the Wreck Bar’s world class seafood menu while sipping one of their artisanal cocktails. Come during the weekend for their World Famous Mermaid Show featuring “MeduSirena and her pod of Aquaticats.” If you prefer turf over surf, head to downtown for Rocco’s Tacos and Tequila Bar. Miami has miles and miles of white sand beaches that are accessible right from your hotel. This summer will mark the official opening of the Cadillac Hotel and Beach Club. Indulge yourself with five star accommodations for you and the family. Cadillac also offers exclusive chartered seaplane and boating tour packages. While known as “The Venice of America” for the canals that zig-zag past homes in Fort Lauderdale, you’ll find it has its share of prime beachfronts. The Elita Hotel, hosted by the Gzella Collection, is only steps away from the shoreline. The Elita is perfect for business and leisure travel with sophisticated guest rooms and poolside bar. ← What makes London a World City?